We were driving by the mixed-use building on the west side of York Street - just south of Hamburger Heaven - and spotted this "Coming Soon" banner for a Papa John's pizza place. 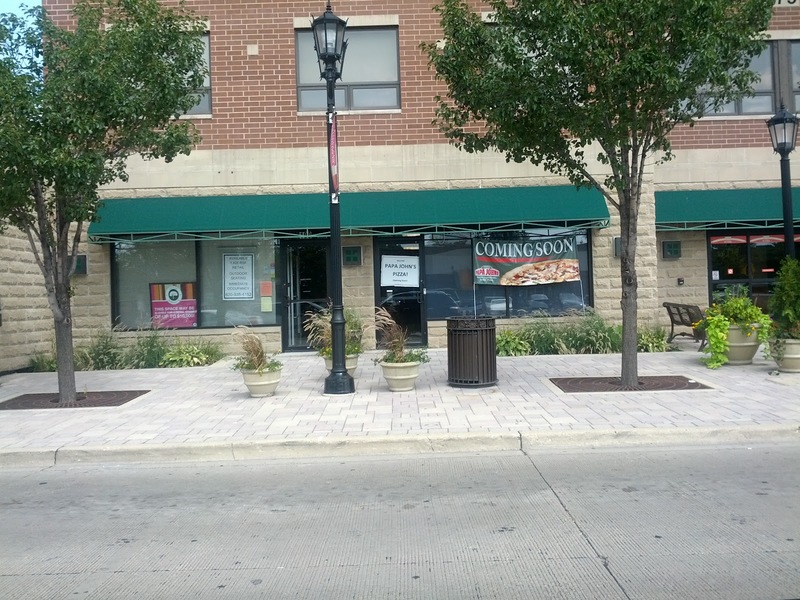 It was back in September of 2010 that the Papa John's location closed in downtown Elmhurst. This new place is 2 blocks north and on the other side of the street. Is there a back entrance to this building? I would hope so, because it doesn't appear that parking is plentiful there? Or, does Papa John's mostly do delivery? Not a lot of takeout? The timing appears right with the students coming back soon at Elmhurst College.